In “How ‘Harry Potter’ Saved Young Adult Fiction,” Tammy and other authors, publishers, and sellers of children’s books reflect on the Harry Potter series, from its rapid rise in popularity to its lasting impact twenty years later. Happy 20th Birthday to the Boy Who Lived! 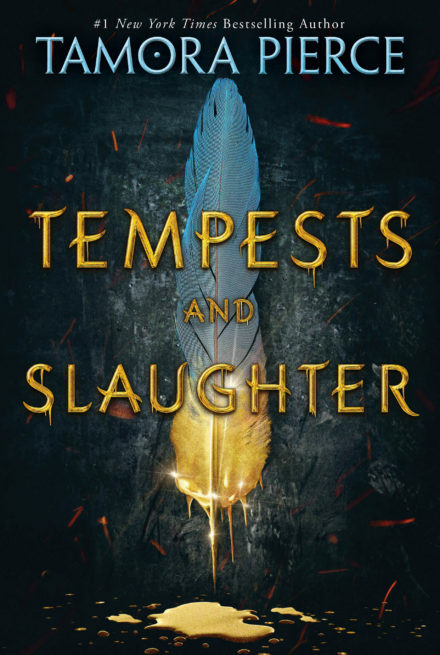 The Cover for TEMPESTS AND SLAUGHTER, Tamora Pierce’s First “Numair” Book, Revealed! 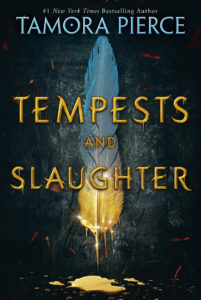 The Broadway Book World site has revealed the cover art for Tempests and Slaughter, the first in Tamora Pierce’s THE NUMAIR CHRONICLES three-book series about the childhood of Arram Draper, the boy who will grow up to be the Great Mage, Numair Salmalín. 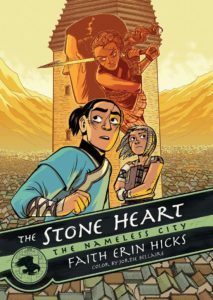 Set mainly in Carthak’s Imperial University, Tempests and Slaughter tells of young Arram’s struggles to focus and control his magic, his growing friendships with the young Mage Prince Ozorne and Mage Girl Varice, and the first hints at what fate the Gods and Destiny hold in store for him. 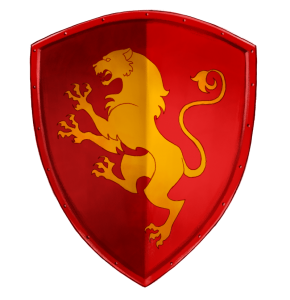 From the deadly intrigues of the Imperial Palace to the depths of the Gladiator Holding Cells, Arram will have to dig deep within his powers to protect his friends – and himself. After years of work, Tempests and Slaughter will be out in US Hardcover on February 6, 2018. 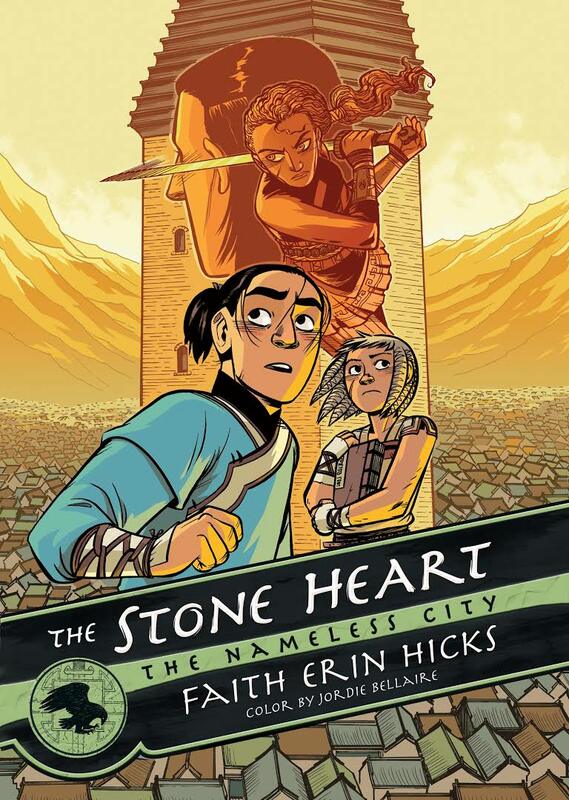 On Monday, April 10, 2017 at 7:00 PM, Tammy will be sitting down with Eisner Award-winning graphic novelist Faith Erin Hicks (The Nameless City trilogy) for an evening’s conversation. Join the two of them as they talk about a wide range of topics. Admission is free, but seating is limited. Both authors’ books will be available for sale.